This cute looking brown bear is holding onto a toadstool. 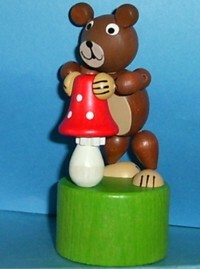 The toadstool has small white spots and the bear has a great hand-painted face. Push up on the base and both will move and dance around.